Went a little out of my swim lane today with this one. I ordered the 2 Kufte and it came with the bean salad and Shopska salad (both cold salads) and a small roll. There was also a red paste that came in a separate little container. I don't know what that was but it tasted like tomato basil soup that had the consistency of a paste. I assumed it was for the pork patties and that's what I put it on. I must say that I was really surprised by this meal. The pork patties had a unique flavor and were delicious with the red paste on them. The bean salad was fresh and also very flavorful. The big surprise was the Shopska salad. I'm not a big vegetable eater but momma would have been proud of me today because I got the clean plate award! The vegetables in the salad were very fresh and the tomatoes were the best I have ever had. It says on the truck that they are locally grown and I believe it! Well here's another one for the good list and if your a little adventurous give it a try, I'm the pickiest person out there and I give it 5 stars. This type of food was new to me. The chicken was very tender. The kufte was just right--a little spicy but not overwhelming. A very good lunch! Simple and delicious. Flavors are excellent and portions size is perfect. The entire plate was great, but the kufte was my favorite. How Much Did It Cost? : Only $4! 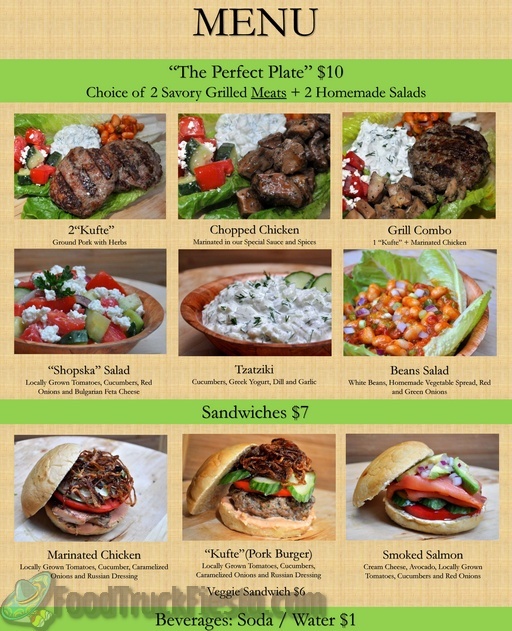 Good customer service, meaningful portion sizes for just $2/salad, DELICIOUS fresh-tasting and filling salads. I thought the shopska was awesome until I tried the tsatsiki - it's even better. I am one happy vegetarian. 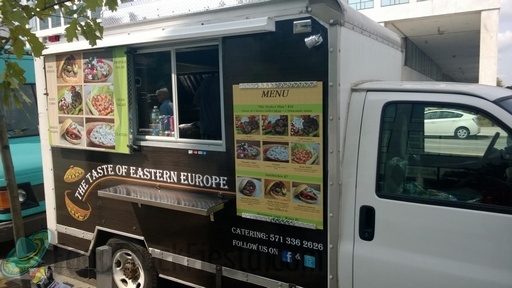 The food is authentic, fresh, tasty, with excellent flavors, and the staff is super friendly! Great truck. The best one really! Ordered 2 kufte plate with salads and it was amazing. The beans salad is my new favorite salad. I got the combo platter, which includes marinated chicken and a ground pork patty. The pork was good, and the chicken was DELICIOUS. It came with a little cup of roasted red pepper sauce, which was also tasty. I will definitely be back! Shopska had great tomatoes and really good cheese - they key to Shopska, of course. A delicious, filling meal! Seasoned just right! Will definitely get this again! 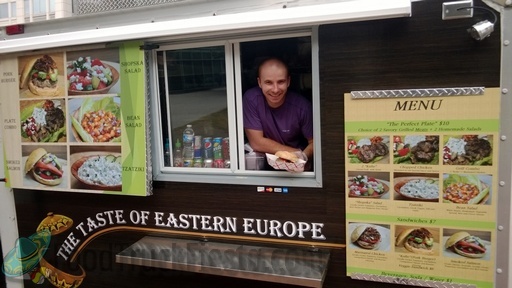 The Taste of Eastern Europe serves your favorite Eastern European dishes, from Kufte to Shopska, in a variety of plates and sandwiches.